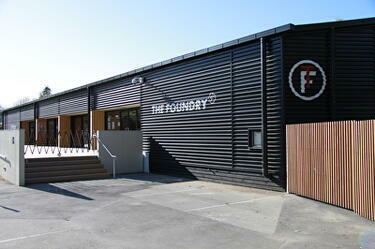 A PDF copy of pages 240-241 of the book Christchurch: The Transitional City Pt IV. 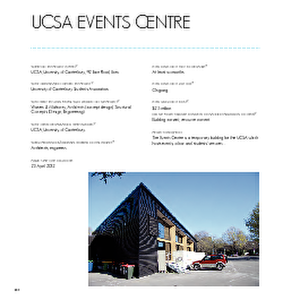 The pages document the transitional project 'UCSA Events Centre'. 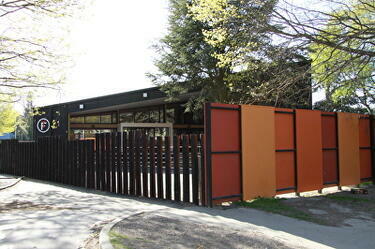 A photograph of the fence surrounding the western end of the UCSA Events Centre. 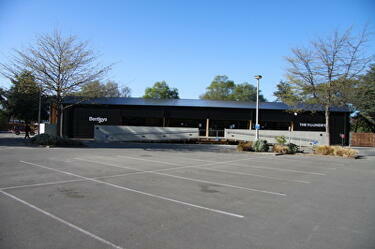 The events centre was built in the UCSA car park on Ilam Road.